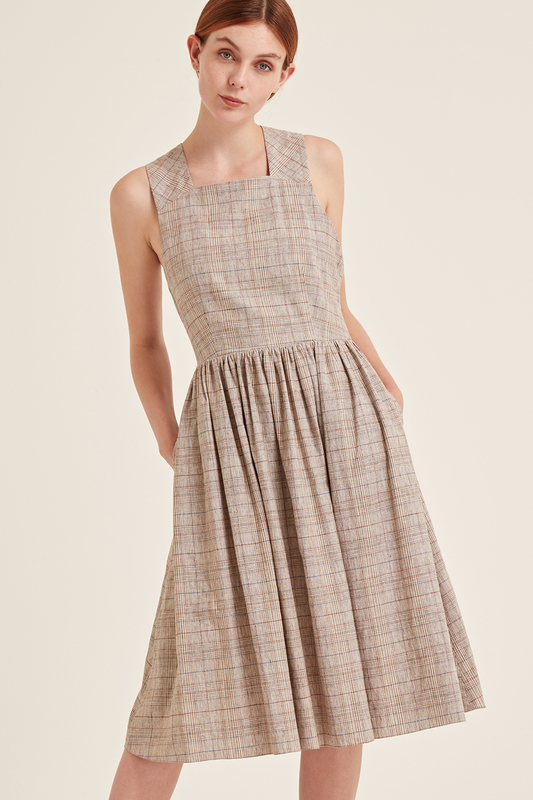 60% cotton/40% linnen Aurora Dress comes in a flattering soft checked print and has an open back. The dress has pockets on both sides and ties in the back that can be adjusted for a perfect fit. Developed and made in the UK.